Let’s start with what the heck is a whole grain anyways. Grains include wheat, rice, oatmeal, barley, cornmeal, and anything made from these products. Whole grains include – you guessed it – the whole grain. A whole grain is made up of bran, endosperm, and germ. Nothing is removed during processing. Refined grains, in contrast, do not contain bran, which is the outer covering that contains fiber and B vitamins. The bran is stripped during processing. All-purpose flour, white bread, white pasta, crackers, and chips are all made from refined grains – unless they are whole grain crackers or chips (more on that below). When food manufacturers began stripping bran from grains, there was a concern that people might become deficient in B vitamins, so they went and added the B vitamins back in, which is why you’ll see “Enriched flour” in the ingredients list of refined grain products. In parentheses after that you’ll see: thiamin, riboflavin, niacin, etc. Those are the chemical names of different B vitamins. Nothing to fear. But here’s the bad part: they don’t add the fiber back into the product. So, to answer the question from above: Are whole grains bad for you? No. In fact, whole grains are good for you because not only do they contain essential B vitamins, iron, folate, selenium, potassium and magnesium but they also have fiber (which is the key ingredient for weight loss & maintenance). Fiber keeps you full and satisfied. More than that, many whole grains like quinoa, farro, and barley, also deliver a generous amount of protein (also essential for weight loss and maintenance). Whole grains are linked to a lower risk of heart disease, diabetes, certain cancers and other health problems. Click here to learn more about the difference between simple and complex carbohydrates. What if you follow a gluten-free diet? Good question. This is my favorite site for all things Whole Grains: https://wholegrainscouncil.org/whole-grains-101/whats-whole-grain-refined-grain/gluten-free-whole-grains. They give the lowdown on which grains are gluten-free. Wheat, rye, barley, and some oats contain gluten. The rest of whole grains do not contain gluten, woohoo! That means you can nosh on amaranth, buckwheat, corn, millet, quinoa, rice, sorghum, or teff. Don’t whole grains make you gain weight or make it harder to lose weight? 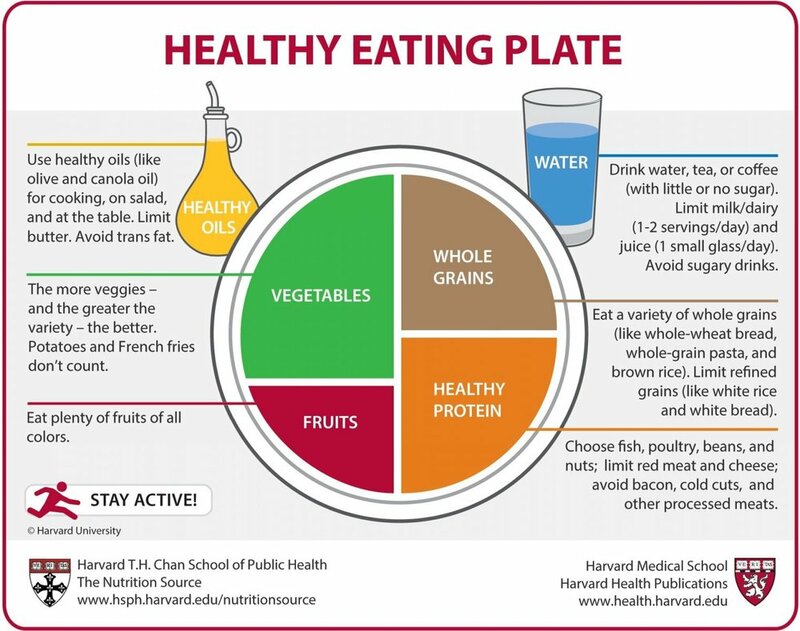 Half of your plate should be non-starchy vegetables and ¼ of your plate should be whole grains. Sweet potatoes, corn, and peas technically go in the whole grains category since they are starchy vegetables. If you’re following this guideline for most of your lunches and dinners and still not seeing the progress you want and you think it’s because you’re eating too many grains, then let’s chat. Many of my clients find that they actually feel more full when they do eat whole grains because of the extra fiber and protein they’re adding to their diets. Which whole grains should I eat? Like fruits and vegetables, it’s good to eat a variety. Aim for whole grains that are high in protein and fiber. Brown rice, for example, doesn’t have much more fiber and protein than white rice so consider if you could swap rice for quinoa in the dish you’re making – like in a stir-fry. Here’s a list of whole grains you can eat during meals and snacks. Popcorn – swap your chips for popcorn, which contains about 4 grams of fiber per serving. Boom Chicka Pop is my favorite brand. Crackers – Mary’s Gone Crackers deliver 3 grams of protein and 3 grams of fiber per serving. Ak Mak and Wasa crackers are also high in fiber. Check the ingredients list to see if the first grain listed is a whole grain. Or “whole” anything - “Whole wheat.” “Whole grain.” Or the ingredients list might just say, “oatmeal” or “barley.” In that case, it’s also a whole grain. Multi-grain does not contain the word “whole.” Multi-grain means that the product has multiple types of grains. Look for the Whole Grains Council stamp on the package. The Whole Grains Council has developed a stamp that companies can use to show their products, like cereals or breads, have a certain amount of whole grains. Check the fiber on the nutrition label. If you checked the ingredients list and still aren’t sure if the product is whole grain, check to see if the fiber is 3-5 grams or more. Usually if it has 3-5 grams or more of fiber, it’s a whole grain. -Replace white rice with quinoa, brown rice, wild rice, barley or bulgur. 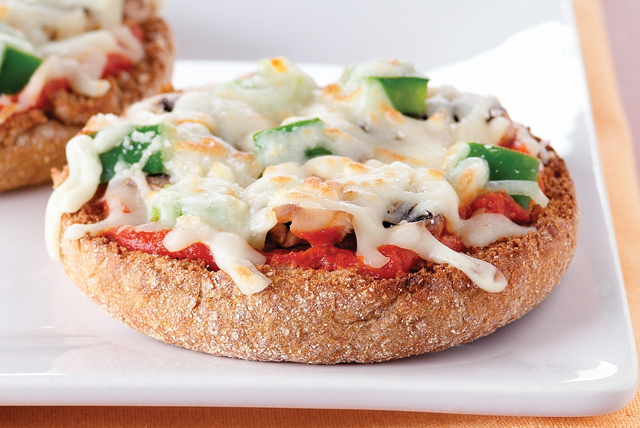 -Make sandwiches using whole-grain breads or rolls. Replace white-flour tortillas with whole-wheat tortillas.